Located on Hwy 52, Kermit Machen Drive. The Geraldine Town Park is the hub of community activities for the Town of Geraldine. Several annual events are held each year in the park. The park is located on Highway 52 east. Please see the event page for a list of current scheduled events. The park consists of four (4) ball fields, a walking track, two pavilions, a splash pad, two tennis courts, and basketball courts. The pavilion nearest the pond is available for rent for your special events. See details below. The tornado of 2010 destroyed most of the trees within the park. In order to re-green the park, the 'Donate a Tree Project' was established. Individuals or groups could purchase a tree in honor of or in memory of someone special. The trees were each marked with a plaque honoring those. For a map of those honorees, click on the 'Donate a Tree' button below. A large map of this project is also located at the walking track entrance. 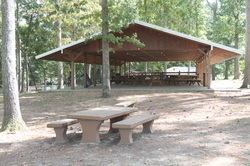 The pavilion is the center for special events in the park. It has a covered stage area and picnic tables. It is available to rent for special occasions. You can choose from two different sessions: 10 a.m. - 2 p.m. OR 2 p.m. - 6 p.m. A $50 rental deposit is required. If the pavilion is clean and unharmed after your event, you will receive a $25 refund. Contact Geraldine Town Hall at 256-659-2122 for details. 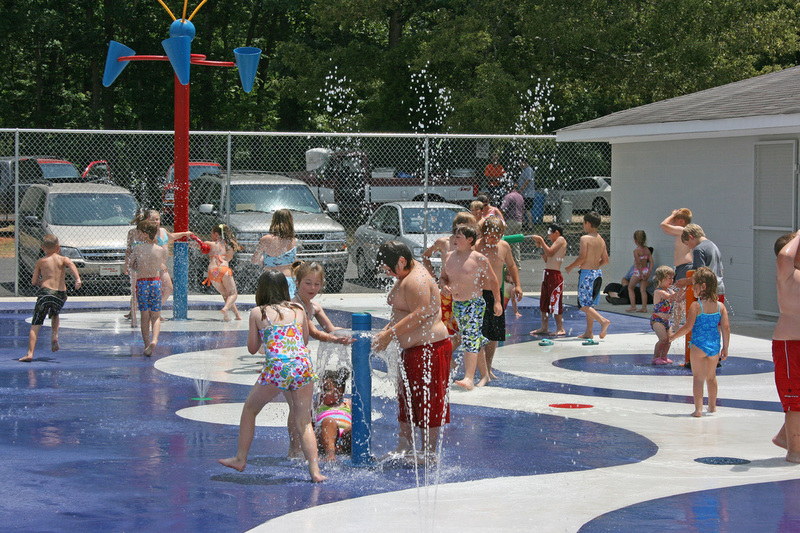 The Splash Pad is a summer favorite for children 0-13 years of age and was the first of it's kind in our area. It is free of charge and open during the summer months, normally while school is out through Labor Day. People from all around the area have traveled to enjoy the water park. While the splash pad is not available to rent, it is conveniently located near the Pavilion at the Pond. Hours of operation are Monday through Saturday 11 a.m. - 7 p.m. and Sunday 1 p.m. - 5 p.m. The playground is located near Ball Fields 1 & 2. It was purchased with the help of a federal grant in 2006. 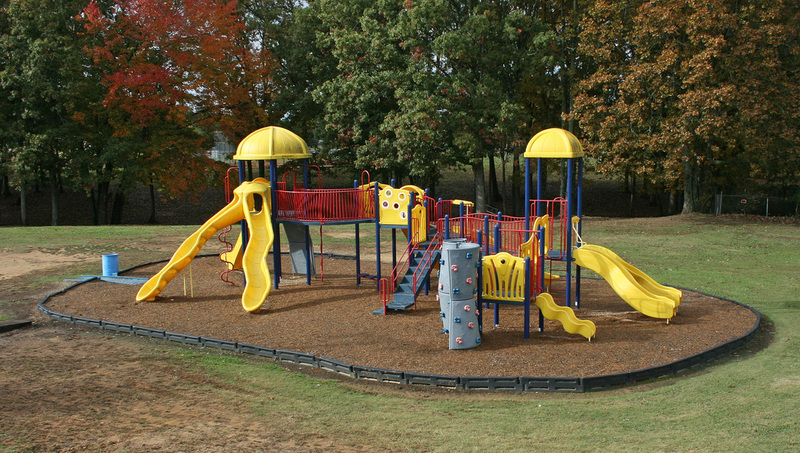 It is a great place for children to play while their siblings are playing or practicing ball. 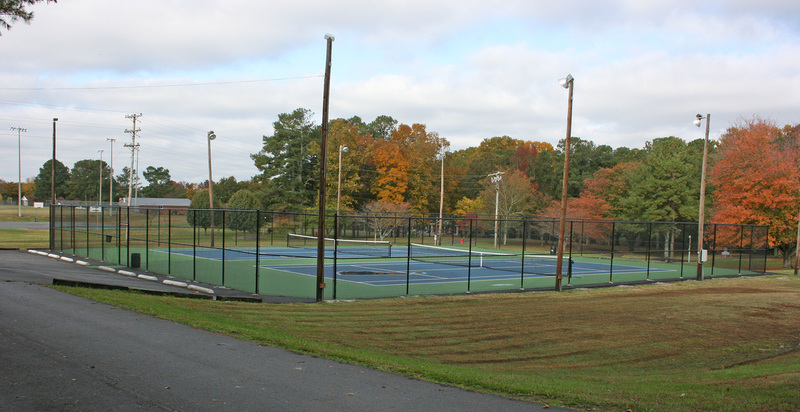 There are two regulation size tennis courts located near the Splash Pad. These are enjoyed by many tennis enthusiasts as well as the local high school tennis team. 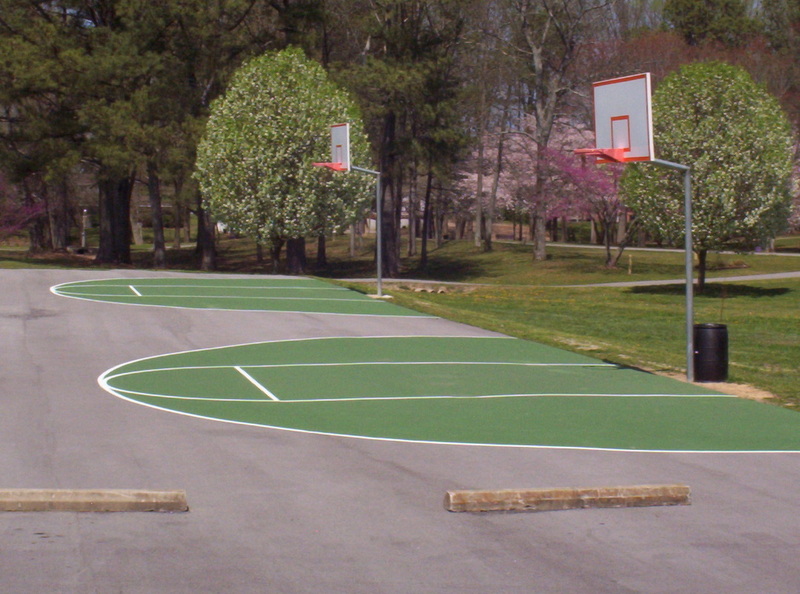 There are four basketball courts located near the walking track. These provide hours of fun and enjoyment for all ages. 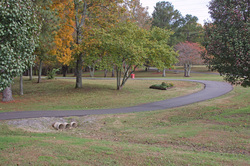 The walking track is a favorite for many people. It offers a relaxing, pleasant atmosphere year round. There are three covered benches situated throughout the trail to rest or catch up with friends. A covered rock pavilion offers a restroom and water fountain for your convenience. The walking track is approximately 2194 feet long. It is marked for distance. Look at the legend explaining the colored-marking system on the kiosk near the Homemaker's Building. This pavilion is not rented to the public.